The tiny wavemaker moon Daphnis is dwarfed by the very waves it creates on the edge of the Keeler gap. 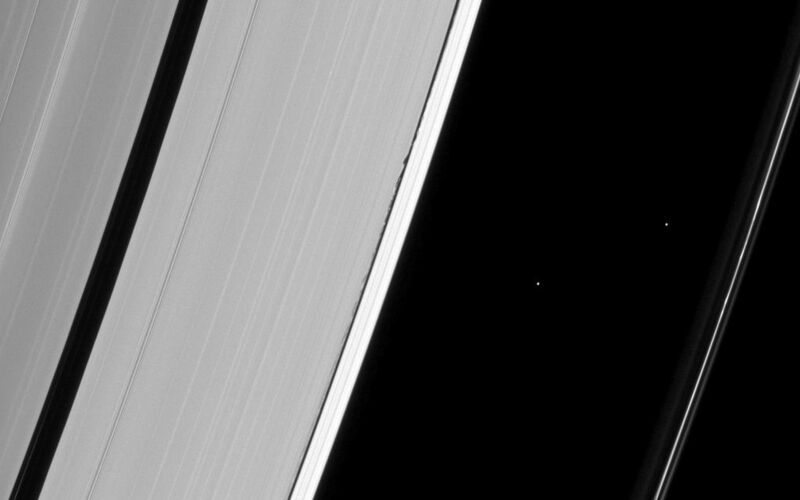 Daphnis (5 miles, or 8 kilometers across), a tiny dot in the Keeler gap, raises waves on the edges of that gap as it passes the ring material. 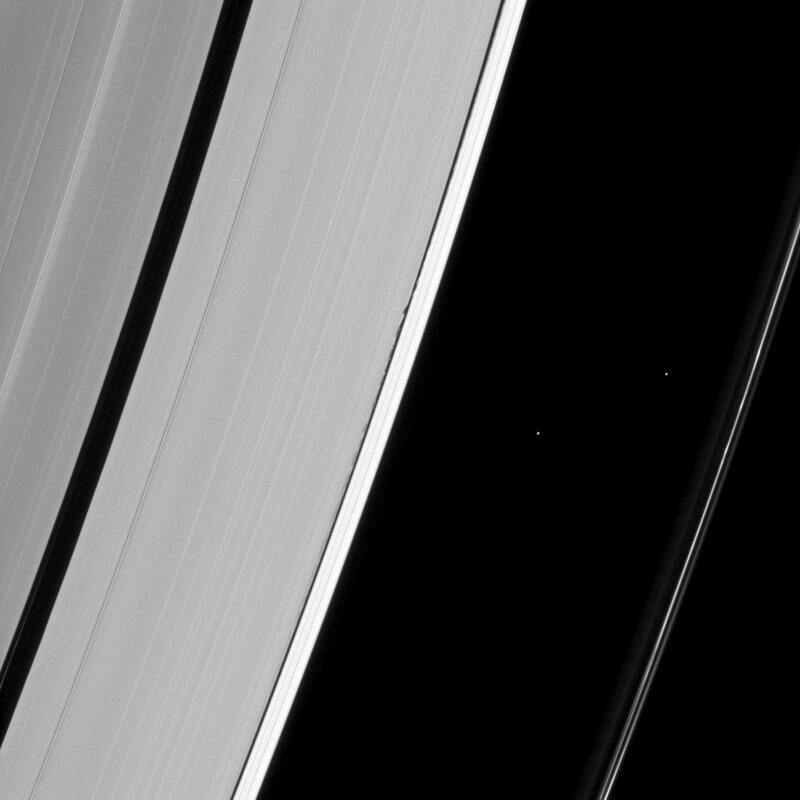 Daphnis' gravitational encounters also maintain the gap, shepherding material back into the ring. The two bright dots between the A and F ring are stars. For more about Daphnis, see PIA06238. 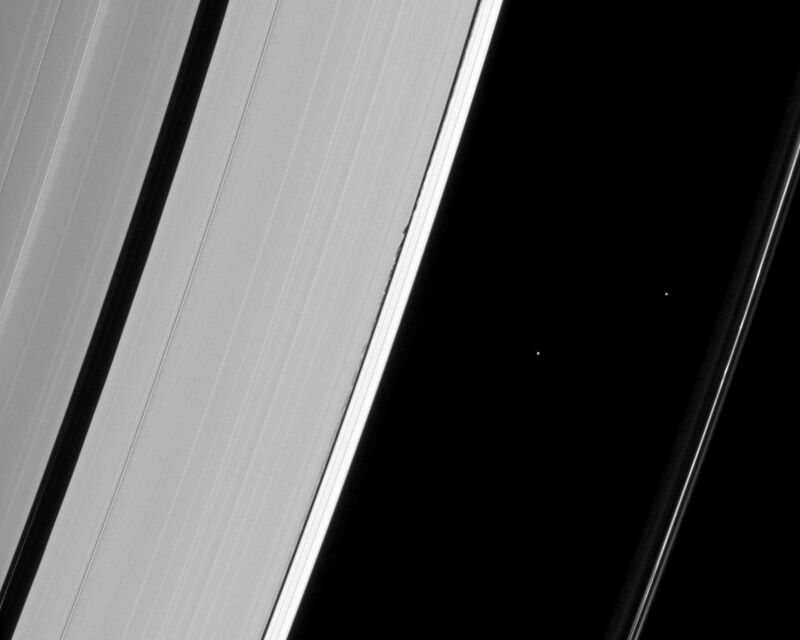 This view looks toward the unilluminated side of the rings from about 50 degrees below the ringplane. The image was taken in visible light with the Cassini spacecraft narrow-angle camera on Jan. 15, 2013. 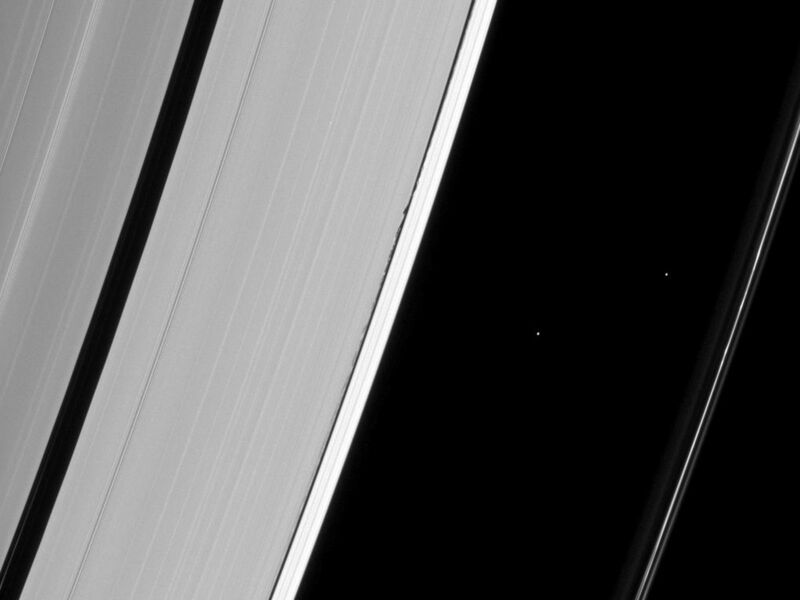 The view was acquired at a distance of approximately 870,000 miles (1.4 million kilometers) from Daphnis and at a Sun-Daphnis-spacecraft, or phase, angle of 99 degrees. Image scale is 5 miles (8 kilometers) per pixel.